Dr. Thomas Dydek, Ph.D., D.A.B.T., P.E. Welcome to Dydek Toxicology Consulting L.L.C., your premier source for toxicology information about industrial and agricultural chemicals and microbial agents and their effect on human health. Do you need an expert witness? Do you want an air quality permit or a product safety evaluation? This is the place to find consulting assistance for those and other matters such as human health risk assessments, mold exposure toxicology, and occupational health issues. 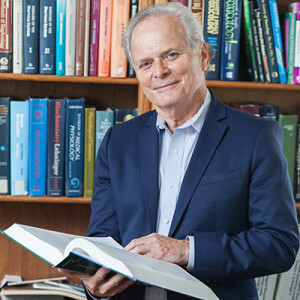 Principal toxicologist Dr. Thomas Dydek is a PhD, Board-Certified Toxicologist and a Licensed Professional Engineer with more than 30 years of experience in the environmental field. He has worked for Federal and State of Texas environmental protection agencies and has been a private consultant for the past 24 years. He has the education, experience, and training to provide excellent consulting advice in his areas of expertise. For a more complete look at Dr. Dydek’s qualifications, go to the “Curriculum Vitae” page. Thank you for your interest in Dydek Toxicology Consulting. If you have any questions or need more information, please contact Dr. Dydek directly at (512) 280-5477 or by E-mail at dydek@tox-expert.com.